The Mindful Kind | Listen Free on Castbox. Being mindful can be a fun and interesting journey and has amazing potential to increase general wellbeing, from managing stress to improving sleep quality. With The Mindful Kind, you will have weekly access to new ideas, personal experiences and practical mindfulness exercises! Thank you for being one of The Mindful Kind. Hello and welcome to episode 172 of The Mindful Kind podcast. In this episode, I've shared some insights into my personal life so you can get to know me a little bit more! You'll find out 3 things you might not know about me and I've answered lots of great questions from my Instagram followers, including: Where is your next travel destination? What is the bravest thing you've done in your life? How did you discover that your purpose was to teach mindfulness? What is your guilty pleasure? How do you deal with burnout? What do you use for guided meditation? Spoiler: I love meditones by Sonesence and this is my favourite album: Floating Grounding (please note that I’m a proud partner with Tahlee and I may receive a commission if you purchase an album through my link at no extra cost to you) What does a typical day look like for you? And more! :) I hope you enjoy listening and have a wonderful week, Mindful Kind. Hello and welcome to episode 171 of The Mindful Kind podcast. In this episode, I've shared my thoughts on being a highly sensitive person and how mindfulness has supported my through some overwhelming experiences. To hear more about my thoughts on this topic, be sure to check out episode 3 of The Seekers' Sanctuary podcast with Tahlee from Sonesence: https://www.sonesence.com/seekers-sanctuary-rachael-kable/ Here are some of the resources I mentioned in this episode: Book 1: The Highly Sensitive Person - How to Thrive When the World Overwhelms You by Elaine Aron Book 2: The Empath's Survival Guide by Judith Orloff Article: 24 Signs of a Highly Sensitive Person Thank you so much for listening and I hope you have a wonderful week, Mindful Kind. Hello and welcome to episode 170 of The Mindful Kind podcast! This is part 2 of the self-acceptance episode, so if you haven't tuned in to episode 169 yet, be sure to check it out first to hear the first 4 self-acceptance tips. More self-acceptance tips: Tip 5: Focus on your strengths, skills and qualities. Try to acknowledge your strengths and accept compliments from others. Check out episode 21 of The Mindful Kind podcast to find out more about gratitude and training ourselves to look for the good things in life. Tip 6: Improve your self-talk by replacing self-criticism with kind and encouraging thoughts. Tip 7: Spend time with people who encourage you to accept yourself. Tip 8: Be self-compassionate. Tune in to episode 153 of The Mindful Kind to learn more about self-compassion, including what it is and what it looks like. Also, if you are looking for guidance on being more self-compassionate, be sure to check out my meditation album about self-compassion: http://www.rachaelkable.com/selfcompassion-album Tip 9: Laugh with yourself when you make mistakes. Tip 10: Do things that make you feel proud of yourself. To find out more about living in a way that aligns with your values, you might enjoy reading The Desire Map by Danielle Laporte. Tip 11: Set realistic goals to build yourself up and celebrate each step you take towards bigger dreams. Thank you so much for listening and I hope you have a wonderful week, Mindful Kind! Hello and welcome to episode 169 of The Mindful Kind podcast. In this episode, you'll hear more about self-acceptance, including what it is and 4 tips to help you accept yourself more. Tips include: 1: Know that you deserve to accept yourself 2: Be curious about improving rather than beating yourself up over mistakes 3: Celebrate your perceived shortcomings and flaws 4: Be proud of being unique Be sure to subscribe to The Mindful Kind podcast so you won't miss Part 2 of this episode, in which I'll share another 7 tips for cultivating self-acceptance. Thank you for listening and I hope you have a wonderful week, Mindful Kind. Hello and welcome to episode 168 of The Mindful Kind podcast. In this episode you'll discover why it's important to go outside your comfort zone, an example of how I went outside my own comfort zone and some tips about how you can go outside your comfort zone, too. The tips include: Seek support for particularly challenging journeys outside your comfort zone Try doing everyday things differently Change ‘I can’t do it’ to ‘I can’t do it, yet’ Return to your comfort zone to recharge, or when you’ve gone beyond optimal stress Use affirmations Do nothing (make sure you listen to the episode to find out why!) 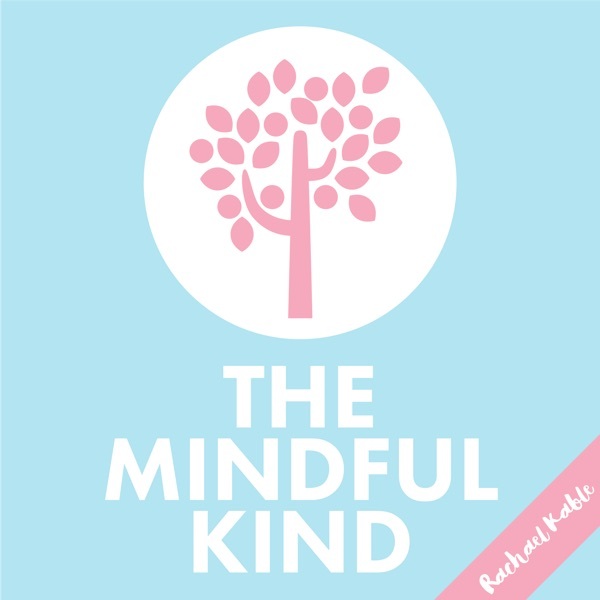 To find out more about my book, head over to www.rachaelkable.com/themindfulkindbook You can also find The Mindful Kind Audiobook on Bolinda, Audible, Google Play and Amazon. Don't forget to check out my latest interviews on the Demystifying College Admissions Podcast and Wellbeing Weekly! Thank you so much for listening and I hope you have a wonderful week, Mindful Kind. Hello and welcome to episode 167 of The Mindful Kind podcast. In this episode, I've shared my thoughts on grief, including the 5 stages of grief and continuing bonds. You'll learn more about the 5 stages of grief (according to Elizabeth Kubler-Ross), including: denial, anger, bargaining, sadness and acceptance. I've also discussed the potential importance of continuing bonds and how I've used them to cope with my own grief. You'll hear about examples of continuing bonds, some benefits of them and how they can be helpful when dealing with grief. Thank you so much for listening and I hope you have a wonderful week, Mindful Kind. Hello and welome to episode 166 of The Mindful Kind podcast. My little family and I are in the process of moving homes and in the last few weeks, I've learned some interesting things about minimalism. I thought I'd share my top 6 tips about minimalism so you can try them out for yourself! Tip 1: Watch Marie Kondo's show on Netflix called "Tidying Up" (or check out some Youtube videos about her methods). Tip 2: Give away things to people who will enjoy them more. Tip 3: Swap big things for little things (or keep digital versions instead of physical versions). Tip 4: Rearrange your home so you can have meaningful experiences. Tip 5: Leave cupboards intentionally empty. Tip 6: Identify if your things actually help you live the life you want to live. Thank you so much for listening and I hope you have a wonderful week, Mindful Kind. Hello and welcome to episode 164 of The Mindful Kind podcast about The Mindful Kind book! In this episode, I'm answering some fun questions about the book, including: What is The Mindful Kind book about? What was my writing process like? How did I get a book deal? What was my favourite chapter of the book and why? Who did I write the book for? What was the hardest part of writing the book? How did I use mindfulness and meditation while I was writing the book? Were there times when I thought I couldn't finish writing the book? If you would like to learn more about The Mindful Kind book or grab your copy, head over to my website here: http://www.rachaelkable.com/themindfulkindbook I hope you have a wonderful week, Mindful Kind. Hello and welcome to episode 163 of The Mindful Kind podcast! Having struggled with anxiety while driving and hearing about a few similar experiences from my listeners, I thought it was time to do an episode about mindfulness for nervous drivers. You'll discover all my top tips for managing stress while driving and using your daily commute as an opportunity to practice mindfulness! Tip 1: Notice your emotional state Tip 2: Observe what's happening around you Tip 3: Use deep breathing exercises and body relaxation Tip 4: Set an intention to drive mindfully before you go anywhere Tip 5: Listen to soothing music Thank you so much for listening and I hope you have a wonderful week, Mindful Kind. Its funny that you didn't like your voice. It's one of the main reason I actually listen to your podcast. Its unique and really soothing. Relaxes my mind to whatever you say. Wasn't your first podcast epidode was about how u don't use mobile much ? I was inspired then . I feel sad to know now u use mobile for everything - mindfulness , work , Facebook , Instagram . I am addicted to mobile so I was thinking of listening to your podcast . mimi k how is it's. mimi k There's nothing wrong with using technology. It's when a person becomes addicted to it that it becomes a problem. As long as we're the ones controlling and using our phones and not the other way around then I think it's fine. Love this podcast ❤️ relaxing & informative in bite sized episodes.